There was one considered weakness in the sound of the original Minimax which has been addressed – its lightness on the bottom end. 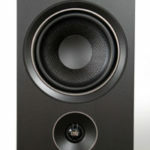 Compared to heavier hitters like the Ayon CD-5 the Minimax was lacking in “profundity.” When a kettle drum or bass string was excited the mass of the instrument was not evident fully, but was a bit dynamically shy, a bit lacking in depth. 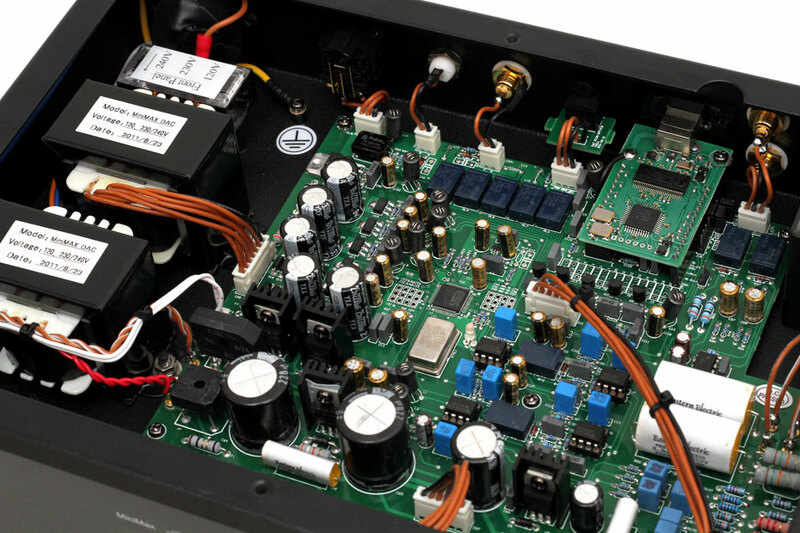 In terms of dynamic impact and weighting of instruments the new DAC is much more gratifying. Using a couple of drum solos from Usher Speakers’ demo discs one not only hears greater refinement in terms of brushes against cymbals, the mallet or stick striking the skin of the drum, but also the intensity of impact as well as the volume of air inside the drum and the reverberation of the drum. This translates to the ear as hearing music with more solidity. The TUBE button had less of an influence on the sound of the tube DAC Plus than I had anticipated; this unit is more uniform when switching between Tube/Solid-State operation. When discussing this with Bill he shared that the original model had 2.5V output via solid-state but 3V via tube. The new unit now has 2.5V output from either mode; this would account for the seeming higher conformity between them than the original. However, a pleasing and still worthy difference exists. The stock Tube output plumps bass and splays the treble slightly, as well as heightens the dynamics a bit. 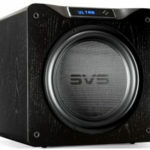 Conversely, the SS output tightens the bass and hones the treble while gently lessening the dynamic impact. Note that all of these characteristics will be also influenced by the source, be it Net-based or transport, as well as amp selected. Even without Opamp rolling, the Plus has options to offer, especially with its “Phase” inversion option. I found that in my system phase inversion had a warm, fuzzy cotton ball effect, as everything was warmer but less distinct. I did not regularly use the PHASE button with the first model and likely will not with the Plus. However, you may adore what it does in your system. I plowed through a pile of extremely familiar material in order to gain a fast but accurate read on the extent of changes sonically. Elton John singing “Don’t Let the Sun Go Down On Me” live was more “in house” than ever before. Crowd applause can be telling in regards to how believable a live recording is. I felt placed in the middle of a performance rather than merely hearing a recreation of a live performance. Punch in Troy “Trombone Shorty” Andrews on Youtube and watch his mesmerizing clips of his trumpet playing using the technique of circular breathing. He can carry on a solo to beat the band and hold it for two minutes, so long it’s dizzying. He is a powerful talent leading the charge of a new New Orleans generation of brass players. His disc Backatown is recorded very hot. I played it on the half million dollar EMM Lab/Constellation/Magico system at the Dagogo California Audio Show and saw the indignation in the eyes of some. It was as if they would write off the music, and perhaps this phenomenal talent, solely because it was not recorded pristinely enough. I do not disagree that artists would be better served to have less compression, but a piece of music from an artist is what it is; you either deal with it or miss out. Similarly, Lady Antebellum’s album Need You Now gets stressful on the ears after a while. But both of these artists’ music is much more palatable with a device like the Tube DAC Plus. Just as audiophiles describe breakthroughs in terms of clarity by saying a “veil had been removed” or the like, so also a layer of stress or harshness is removed when compressed music is heard through the Minimax. I’m not saying that the Tube DAC Plus is the answer to the compression wars in audio, but it certainly is a remedy for sufferers! I played a bit of Hans Zimmer’s Pirates of the Caribbean soundtrack, listening especially to track 7 “Barbossa Is Hungry,” and found the Tube DAC Plus to extend the physical positions of the orchestra far wider than has any 24 bit DAC, even much farther than the original unit had. The melee-like playing at times was rendered as congested with other players and DACs, something I thought might be an inevitable part of the performance as it was recorded. 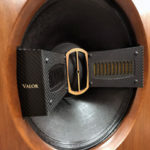 Not so; theTube DAC Plus began to lay open the individual elements of each section cleanly. Especially notable was the much higher resolution of the tympani at the far back of the hall. Many digital systems can place grouped instruments Left to Right, but not so well fore to background. The Plus does both quite well. John Rutter’s “Anthem Prayer of St. Francis, for Chorus & Organ” was soul-stirring, as I could easily envision the corporeality of the singers. Similarly, VH1’s Johnny Cash and Willie Nelson’s live performance of “Ghost Riders in the Sky” blended the utter comfortableness of their playing with aging voices at moments weathered and tired. The performance has the feel of a campfire where the elders impart their wisdom, the immediacy and intimacy of the venue and recording inescapable. 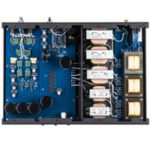 Does the EE Dac Plus decode DSD now? I am not aware of DSD capability in the EE DAC line as of now. However, you may wish to discuss directly with Bill O’Connell, the distributor of EE in North America. He can be found at the Morningstar Audio site. Would you please compare/contrast the Eastern Electric Tube DAC Plus vs. Benchmark DAC2? I currently have a Benchmark DAC1 (modded with Dexa discrete opamps by Parts Connexion) which is use directly with a rebuilt PS Audio 200c amp and Thiel CS7 speakers. My music source is primarily an external hard drive accessed by SONOS. Prior to opamp mod, the sound was too shrill in the treble to enjoy at moderately high volumes. 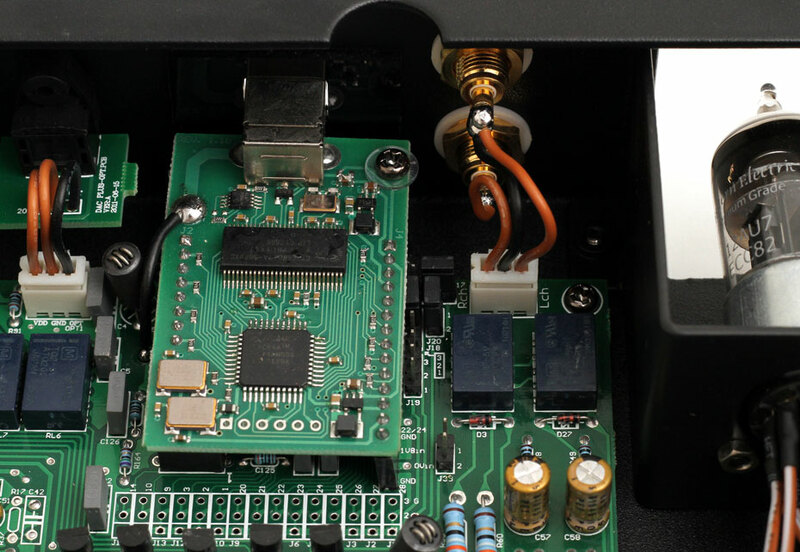 The DEXA discrete opamp mod has dramatically smoothed the top end and improved the imaging. QUESTION: In theory at least, or in actuality if you know from experience, would the sound through my modded Benchmark DAC1 be improved further if I input an upsampled (e.g. 176.4 or 192kHz) signal from a dCS Purcell? Yes, I’m aware that the Purcell only outputs those rates (mono) through each of its XLR outputs which would necessitate the use of two Benchmark DAC1’s to reproduce full stereo. I read that the sample rate converter in the Benchmark DAC1 resamples all signals to 110kHz, so it seems like feeding the DAC1 anything higher than 88.2 or 96kHz would result in downsampling and as a result maybe degrading of the sound. I am afraid I cannot definitively comment on a direct comparison between the Benchmark DAC2 and the EE Minimax DAC Plus as I Have never compared them side by side. I spent time reviewing the original Benchmark DAC but have not had a follow up to date. I have no doubt that you were able to improve the performance by replacing the opamps in the DAC1 with DEXA discrete opamps. Although it is impossible for me to say whether the upsampled signals would be of little or no improvement when fed to the DAC1, I do recall that when I had the Cambridge Audio Azur 84C I conducted a somewhat similar test. I fed the non-upsampled 16 bit 44.1kHz feed in comparison to the 24bit 192kHz to the EE Minimax DAC Plus and heard very little to no difference. So, in theory the samples with much higher upsampling may be ‘downgraded’ but whether this will cause it to sound worse or better to your ear you would have to experiment to find out. You certainly are creative in thinking up the “dual DAC” idea for the Purcell! I had thought of a similar setup over time, but I have not tried it yet. My guess is that you would be better served to seek a DAC which can handle such upsampled signals up to 192kHz rather than cobble together two of the questionable DAC1 units. I would think that Benchmark Audio would be happy to discuss the idea further.